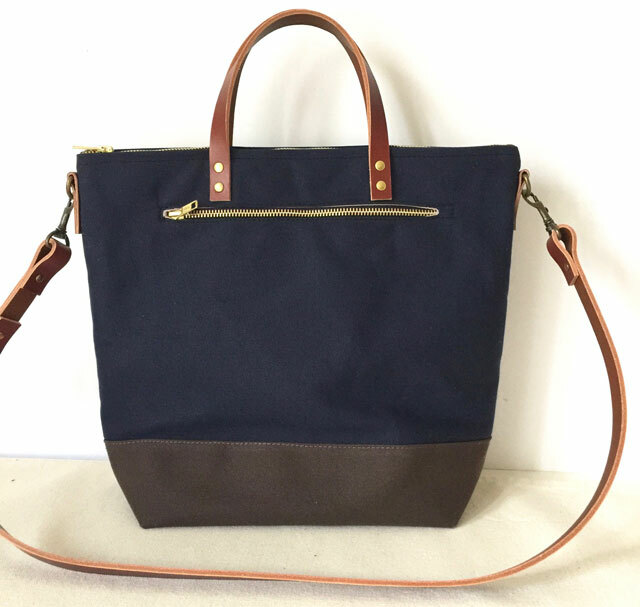 This is a custom tote for Robin in Guelph, Ontario. Robin is a horse vet, who also loves to knit. 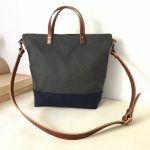 She wanted a bag that she can take everywhere, that would also be big enough for her yarn and needles. She’s petite, so she was interested in the mid-size Commuter Bag. First, Robin chose these custom colours. I really like this combination. 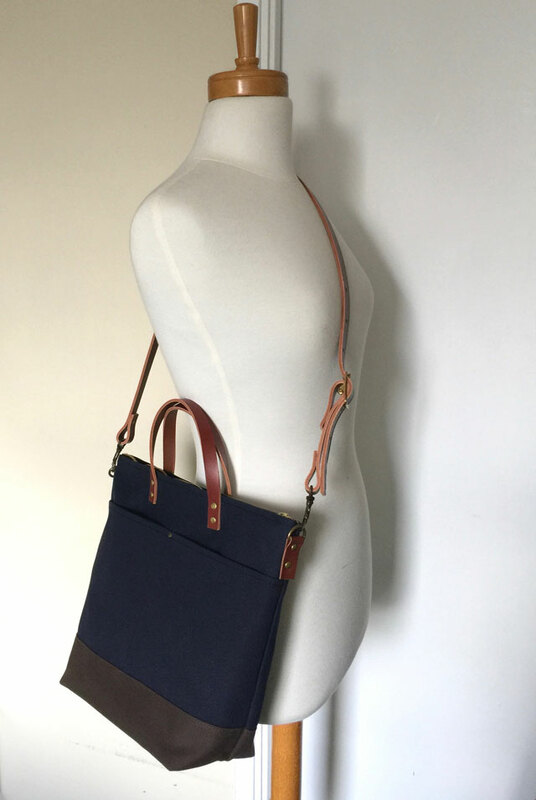 The rich midnight blue goes well with the dark brown bottom. She also wanted 2 front pockets added to the bag for more organization. 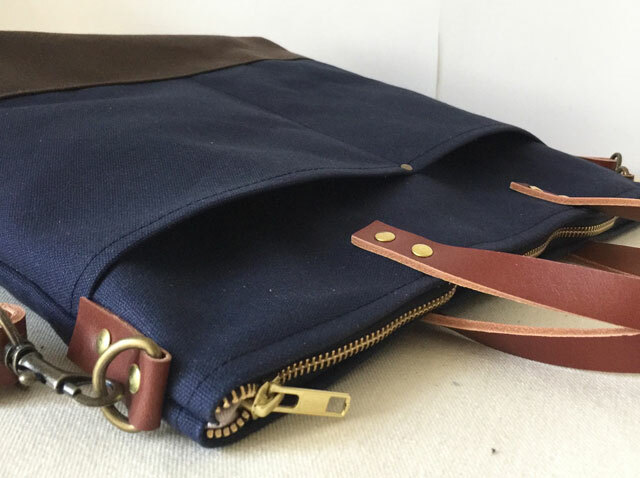 The Commuter Bag has hand-held short straps. 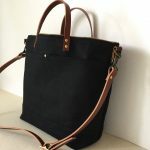 It can also be worn across the body or adjusted to be a shoulder tote. 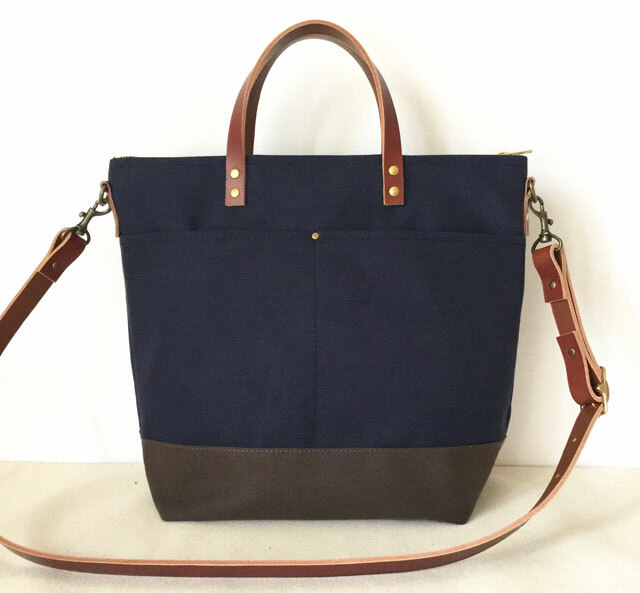 The tote is made out of lightly waxed water resistant canvas, vegetable tanned leather and brass hardware. 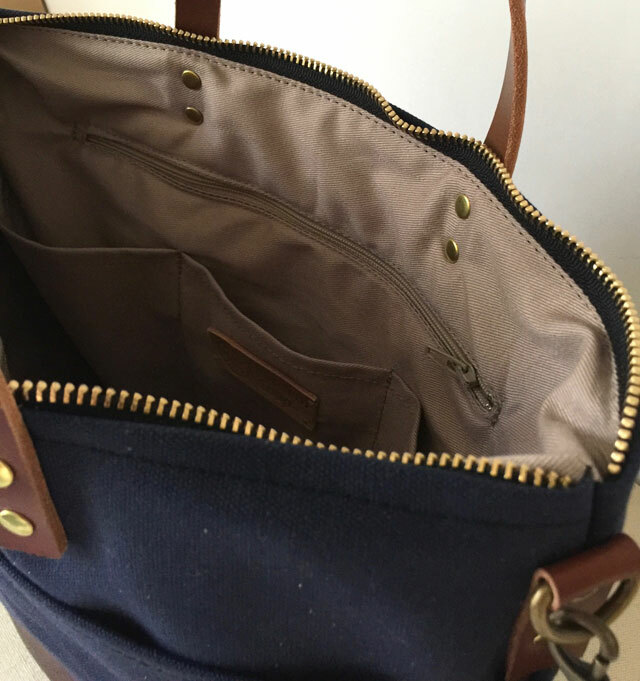 Shown, here the bag has a full zipper top to keep belongings secure . A back exterior zipper pocket was also added. Robin wanted to be able to put her wallet and secured belongings in this pocket. I made it an ample size. 9.5″ wide x 6″ high. 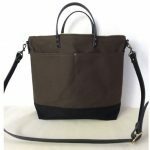 The bag comes stock with 4 interior pockets for organization. Robin also wanted an interior zippered pocket added. She wanted to make sure that there’s plenty of pockets, especially for her knitting. 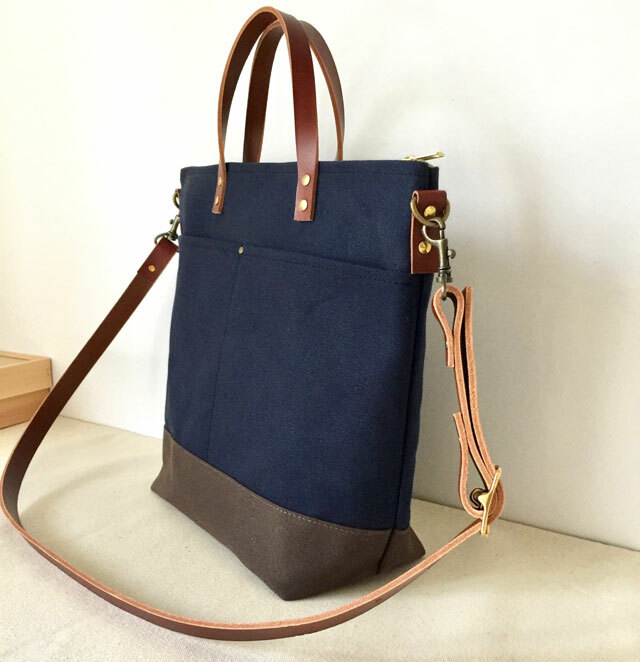 PLEASE NOTE: Please contact me at cat@moderncoup.com if you’re interested in a similar bag handcrafted for you. Right now, it takes 10 business days to make before shipping.